The Dirty River Dixie Band will be in Austin in support of their newest album, Live & Krazy. 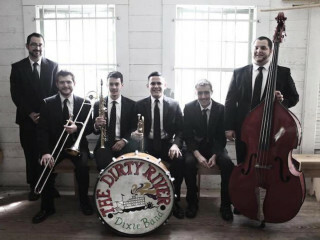 The Dirty River Dixie Band’s sound closely emulates The Jim Cullum Jazz Band, which has helped mentor the members of the band. Other similar artists include Louis Armstrong, Jelly Roll Morton, King Oliver, Kid Ory, Turk Murphy, and Lu Watters.